Today we bring you a peek at how three of our design team members store their stamping supplies. These are some really fun ideas! We'll be back next "Flea Market Friday" to share a few more. From Lisa Dickinson . . . "Here's my stamp "cupboard" - it's actually an old orange crate that someone built drawers for. 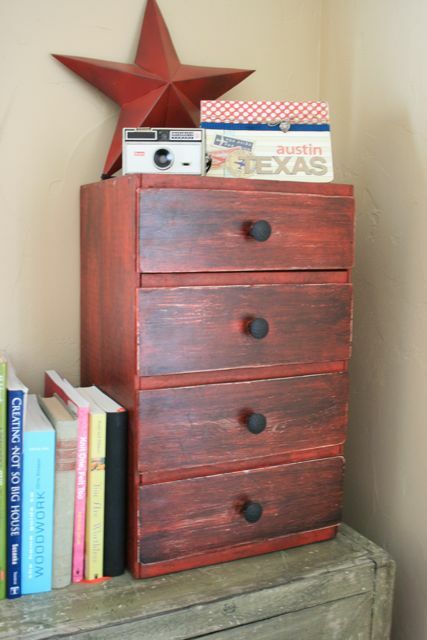 I found it at a flea market and painted it distressed red. 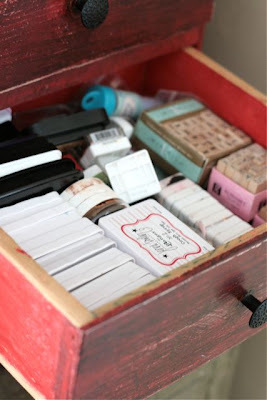 The four drawers hold inks, acrylic stamps, wooden stamps, and stamping supplies. :)"
From Stephanie Howell . 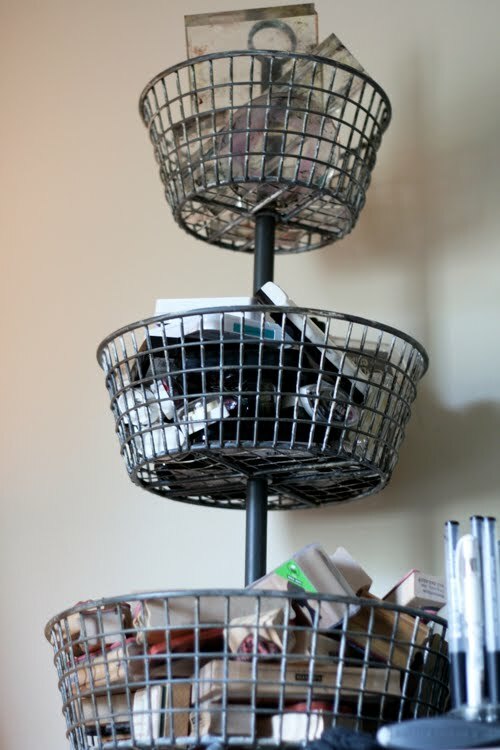 . . a vintage 3-tiered wire basket with acrylic blocks on top, inks in the middle, and wooden stamps on the bottom. From Betsy Sammarco . . . "This is an old cabinet top I found at a warehouse. I appeared to be altered to it could be free standing. 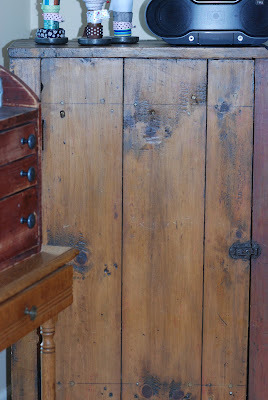 I got it because I just loved the knots and color in the wood." 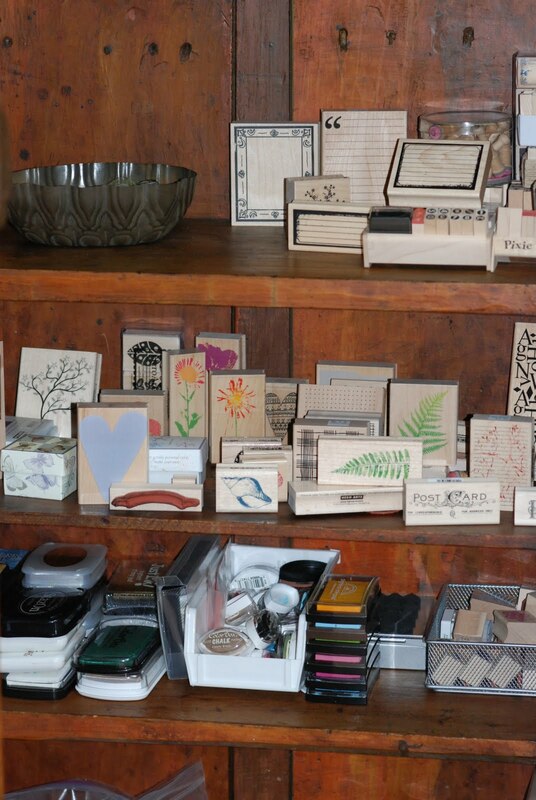 "I loved the shelves inside and store my wooden stamps and ink pads here." 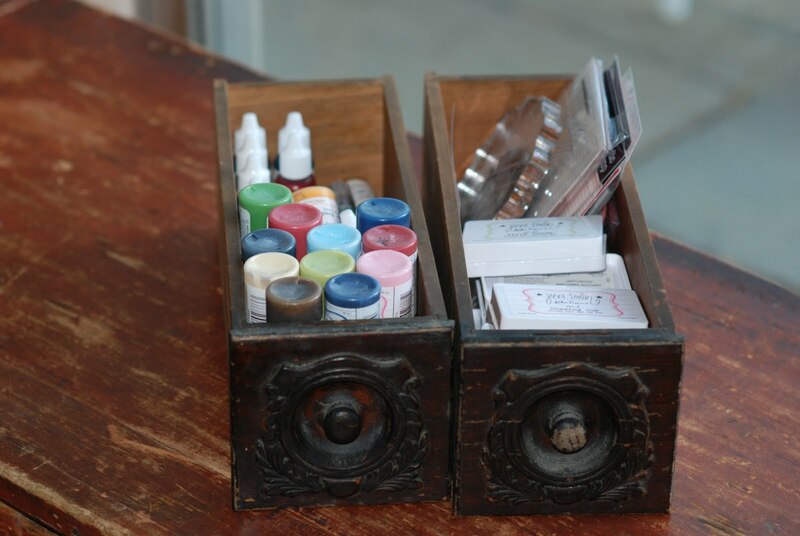 "I was so inspired by a Flea Market Friday post from Doris using an old drawer for storage that when I saw these, I just had to get them! I use them for my paints, mists, ink pads, and acrylic stamps!" I have one of those fruit crates and love it~hold all of my JB stuff!! super cute ideas!! !